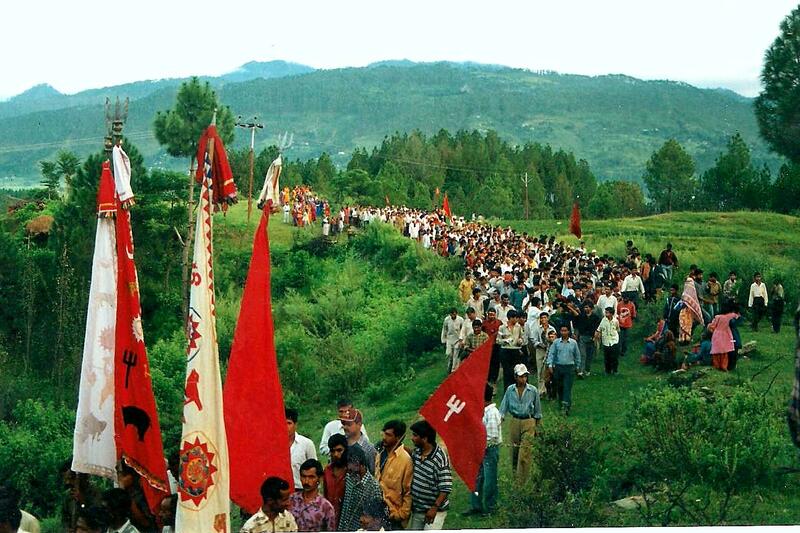 Hailed as one of the most unique cultural and religious event of Uttarakhand, the Nanda Raj yatra begins from Nanda Dham Nauti. The one of its kind religious festival, Nanda Rat Jat Yatra is held once every 12 years, in the hills of Chamoli District of Uttarakhand, India. The yatra promises to be a distinctive celebration at an amazing Himalayan height. Three elements make the journey special, both for the participants and the observers mystery, romance and faith. This journey represents the magnificence and the ability of the state and its people. Those who have undertaken this grueling journey will known that throughout the trek people will involve themselves in the journey are welcomed and taken care of en-route by the hill folk in the spirit of Athiti Devo Bhava (Guests are Gods). And above all, the celebration is a great equalizer. It promotes universal brotherhood. People from all across the nation and abroad, flock to be part of this unique festivity. 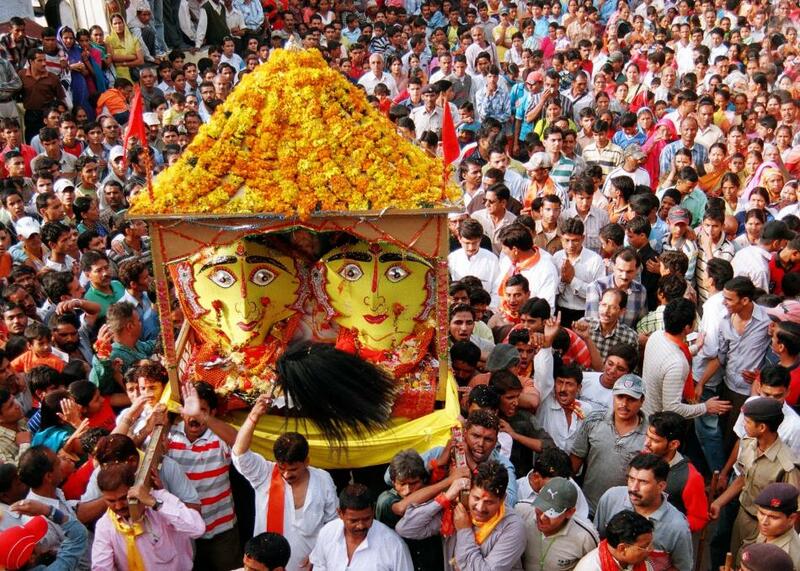 Religious processions in Uttarakhand are known as Jats. Nanda Devi Jat is an integral part of Uttarakhandi tradition culture. The Doli of Nanda Devi is take out in a procession from Kroor Nanda Devi Temple in the Nandakini Valley, and the Jat ends in the alpine meadows situated a a height of 3354 meters. The Yatra goes through one of the most beautiful but arduous Himalayan path. This 280 km long yatra, also known as the Himalayan Mahakumbh, takes around 20 days to complete. It is a historic spiritual journey over a difficult terrain. After the creation of the hill state of Uttarakhand, this is the first Nanda Raj Jat and hence it has a great historical significance. He said that the yatra, linked to the aspirations of the people, has a great historic and spiritual value. For smooth yatra. Facilities of parking, medical care, drinking water, sanitation, safety and communication have been put in place at all the Paraws of the yatra route. Food is provided by the local living people enroute, as per tradition. The route becomes tougher after Bedani, therefore only medically fit pilgrims are permitted to go. The devout use sand bags, blocks and rope to climb at various places. The Chausigya leads the main role in the Nanda Devi Raj Jat Yatra. The sheep has four horns and the Yatra starts with this sheep from Nauti Village. People decorate the sheep with clothing’s and ornaments and when the yatra reaches its destination, the sheep is freed.